Need Leads? 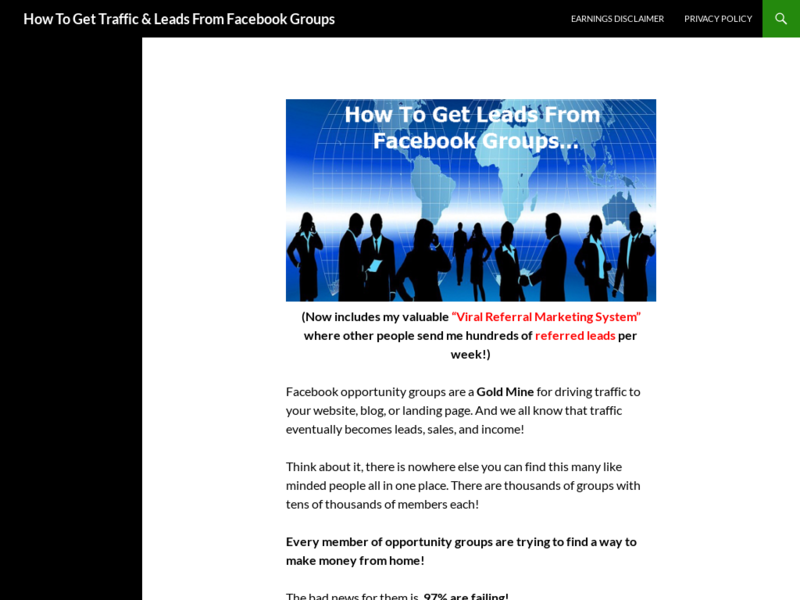 Facebook Groups Are A Gold Mine For Driving Traffic To Your Blog Or Landing Page. This Ebook Teaches How To Use Fb Groups To Gain Traffic & Leads. One Of It's Kind Product! Aff's Earn 50% On $17 Sale.